Dr. Akram Boutros' mission as the President & CEO of MetroHealth System is to make care accessible to everyone throughout Northeast Ohio. 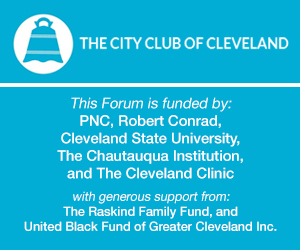 "It's an organization that takes care of the community's most vulnerable, and nobody does it better," Boutros said in a meeting with The Plain Dealer editorial board. His plan is to come up with a strategy that allows MetroHealth to improve efficiency, care and revenues, without cutting any services. Dr. Boutros, an internist by trade, has been a healthcare executive for nearly 20 years. Prior to joining MetroHealth, he was president of BusinessFirst Healthcare Solutions, a consulting firm he started. Boutros was also executive vice president and chief administrative officer for St. Francis Hospital in Roslyn, N.Y., and executive vice president, chief medical officer and chief operating officer for South Nassau Hospital in Oceanside, N.Y.